Jamie’s Blog: Goal Galore in a very long football match! Wahey! It’s Jamie from The Club here. The Premier league sadly ended last weekend but while keeping an eye out for the scores, I came across this story of the world’s longest football game. A group of football fans spent 72 HOURS playing the beautiful game. After doing some maths that’s the equivalent of 48 normal games back to back. 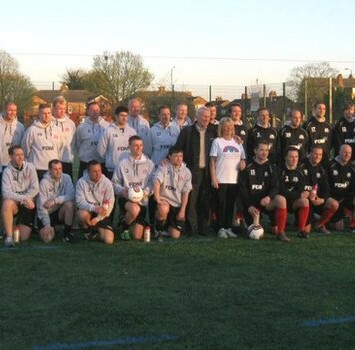 The charity match between Stockport Albion and Manchester Rovers ended 603 – 462. That’s a lot of goals. All in all the teams raised over £20,000 for their local children’s hospice. Great work. You can hear Jamie on Fun Kids every weekend from 4pm. Tune in on DAB Digital Radio in London and online across the UK! Click here to listen!